Coupon Description: Williams Brewing has create a special section on their website to help you find the perfect gift for any home brewer! Better you, today and tomorrow you can save 15% on these homebrew holiday gift ideas! Click the link for all of the details on this limited time promotion from Williams Brewing. Coupon Code Description: More Beer has kicked of their annual 12 Days of Christmas Sale! Each day they release a new promo code that can save you big on home brewing holiday gifts and homebrew equipment! The Day 1 More Beer Promo Code will save you 20% On More Beer’s Home Beer Making Kits! Plus you will get free shipping on these kits which make them an incredible deal! 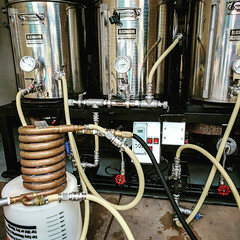 They will give a new home brewer everything they need to brew their first batch of beer, including the beer ingredients! 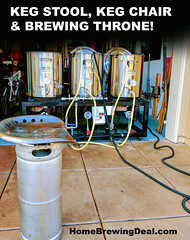 Coupon Code Description: John Palmer makes home brewing easy with proven techniques and a common sense approach to home beer brewing. Right now at MoreBeer, you can get his best selling book How To Brew for just $14.99 and get free shipping on any More Beer order of $59+. How to Brew makes for an excellent gift idea for any home brewer, regardless of their experience level. How To Brew contains basic information for the first time brewer and technical information for the Master Brewer. This was the first book to include legitimate in-depth information on all-grain brewing at home. 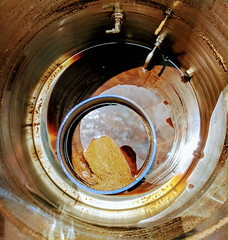 John Palmer is a passionate home beer brewer and a metallurgist by trade. There is a great section on the different metals involved in brewing and how to treat and care for them. The information in this book is so valuable, you will continue to refer back to it year after year. 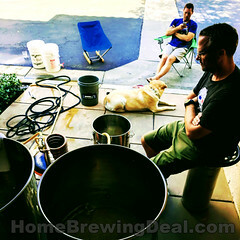 Just the following home brewing deal link to take advantage of this limited time homebrew offer.